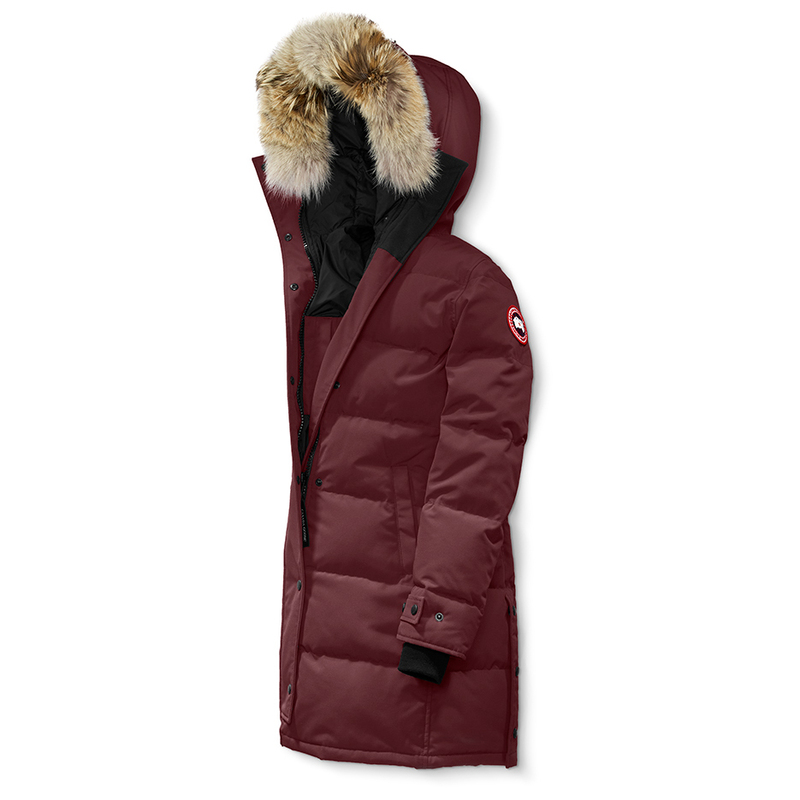 Stand up to winter's cruel cold with the knee-length Canada Goose Women's Shelburne Down Parka. Stuffed with 625-fill white duck down insulation, the Shelburne will keep you warm in temperatures as low as -15° Fahrenheit. 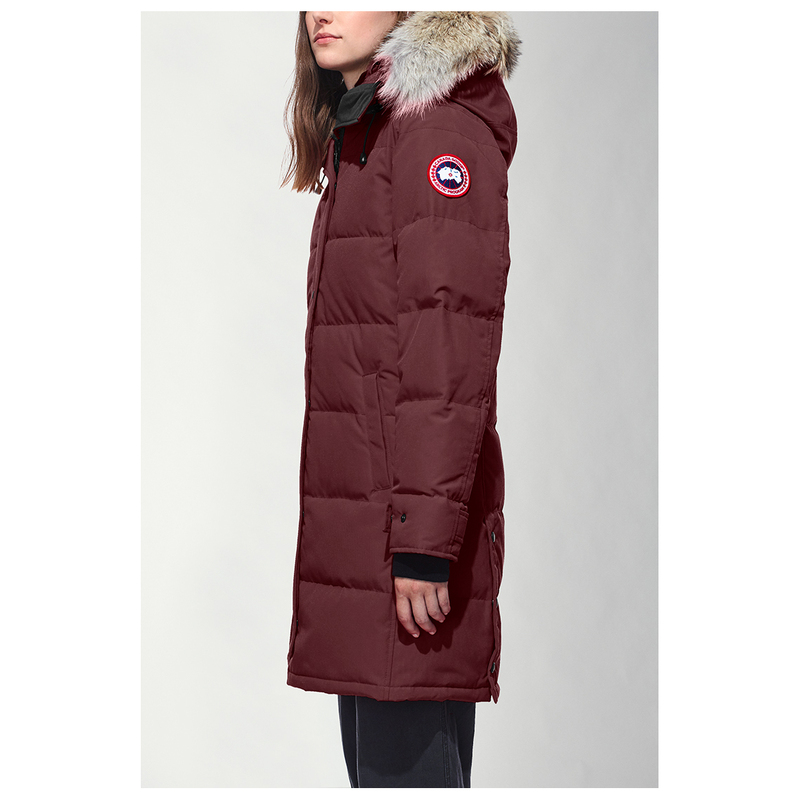 The Arctic-Tech fabric that makes up this parka is Canada Goose's most proven fabric designed to stay dry in extreme conditions and climates, and Canada Goose added a DWR coating to shed snowflakes and raindrops for enhanced protection. A slim fit gives the Rideau a sleek style that looks at home in cities and parks. 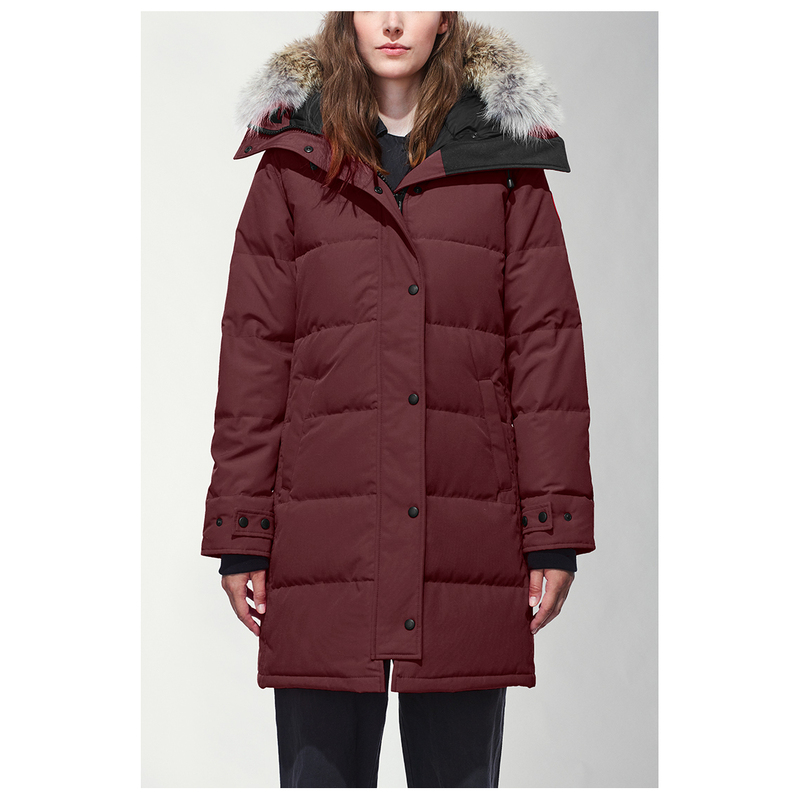 This parka also features internal shoulder straps that allow you to wear the parka as a backpack when the weather starts to warm. 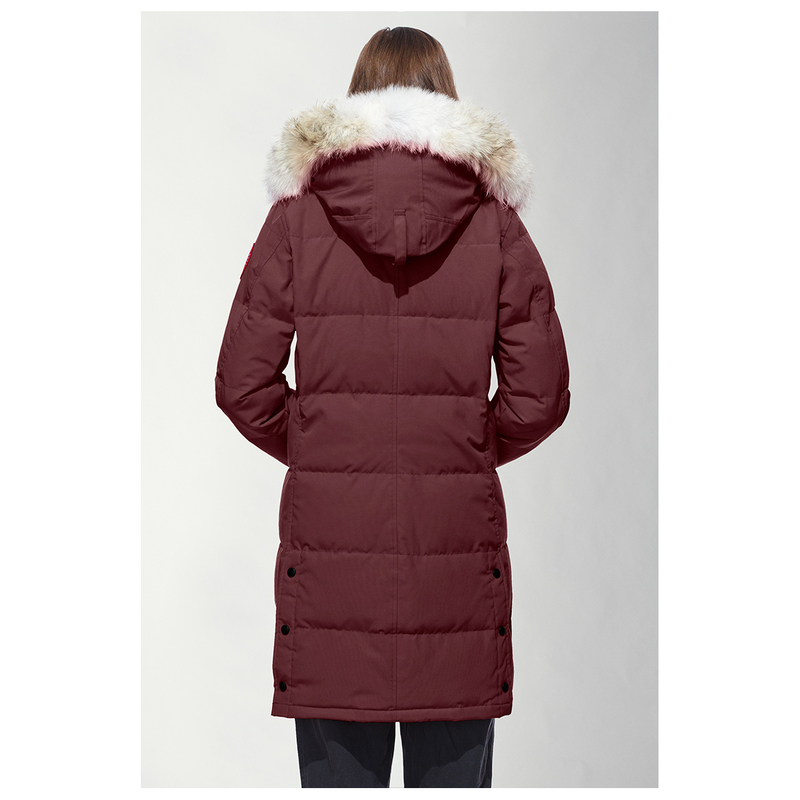 Two-way adjustability gives the hood a secure fit, and the stylish coyote fur ruff is removable for washing. The rib-knit cuffs retain all that wonderful warmth, and the elasticized drawcord prevents the parka from riding up your body. Canada Goose also added several pockets for convenient organization from the drop-in pocket with a port for headphones to two fleece-lined handwarmer pockets.